Formally registered in the Company Registrar Office of Nepal government under the Company Act, 2063 with 119584/070/071, P & P Multimedia Pvt. Ltd., is an established organization which basically works for the development of social and education sector focusing on 'perspective' and 'participation' (thus P& P) in the materials—print and electronic—materials it produces. To be more precise, it undertakes study and research on issues related to education and society for the publications in electronic and print media. -Organizes exchange-programs among communication-experts of different countries. 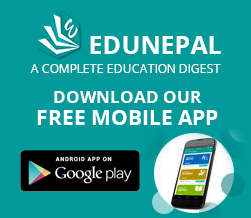 Android App Edunepal:A Complete Education Digest. Coordination to broadcast PSA from 5 districts, on the issue of Children as Zones of Peace. For National Coalition for Children as Zones of Peace and Child Protection (CZOPP). Disseminate Learning materials for SLC preparing students through App with the support of Ministry of Education, National Center for Educational Development NCED. Produced and broadcasted a Radio Show :Education in Federalismin different two stage one is in the time of draft constitution was prepared by the Constituent Assembly and second was after making constitutionthrough8 different FM stations with the support of UNESCO, Kathmandu. Produced the Public Service Announcement (PSA)’s to help students overcome the trauma and return back to their schools after the recent earthquake in Nepal for Department of Education and Education Cluster. (International agencies working with it) with the support of National Campaign for Education-Nepal (NCE - Nepal). Produced and collaborated the transmission of Public Service Announcement (PSA)’sregarding the educational classes offered by the Council for Technical Education and Vocational Training (CTEVT) for Karnali region and Tarai districts and by 27 radio stations all over country about scholarship of Technical Education and Vocational Training by CTEVT. Prepared a television program targeting youths for the Enhanced Vocational Education and Training Project (EVENT) of the government of Nepal, Ministry of Education. Coordinate and organize several types of dialogue/ round table discussionon the issues of public education. Our audience is basically comprised of parents, students, and teachers, active governmental and non-governmental organizations working in education sector, policy makers, and education foundations. Since education cannot be isolated from the larger society, the e-paper is directly and indirectly concerned to the larger society. We believe that the basis of our strength is information. Information can be disseminated through different media. www.edukhabar.com is visited by in about twenty-five thousand concerned people per day. Our Facebook page is liked by near about thirty-five thousand FB users. Five thousand users are connected to our Facebook account. We are associated with different FB Groups and directly have access to more than seventy thousand users. Our Twitter Handle has fifty-five hundred followers. Through the social networks, we have access to 1.25 lakhs educational stakeholders. And more than ten thousand have already downloaded the edunepal app. It’s a big WOW to us. This organization is initiated and run by the journalists who have more than a decade of experience of reporting and writing in education-beat. They have been writing for mainstream press and electronic media. All of these reporters and writers have raised issues pertinent to education sector in Nepal. The human resource will be working for the achievement of the set target focusing basically on: the ongoing preparations on the policy level, basic demands of the people on the local-level, the political stances of the political parties of the country, and the researches done by the experts on the field. P & P MULTIMEDIA PVT. LTD.